No subtitles on this one but it does give you a clear indication of what to expect from this latest South Korean thriller, and let's face it, South Korean thrillers always have our utmost attention at Twistedwing. The Deal (Murder Request) opens back home in March and as soon as we get an English subtitled trailer we'll let you know. For now, check out the synopsis below, we're pretty sure you'll piece together what's going on. 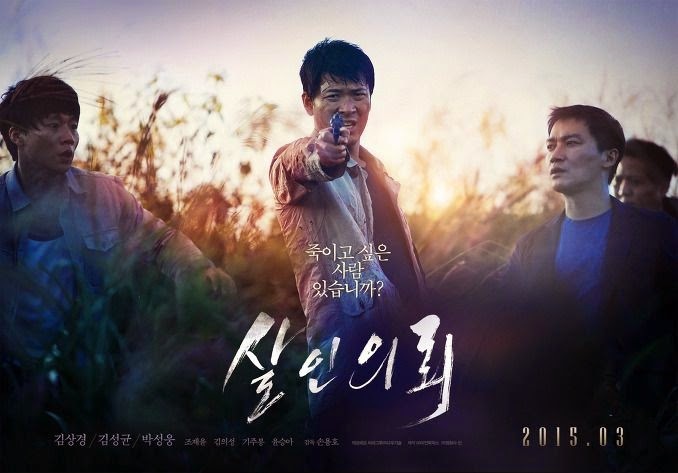 Synopsis:Detective Tae-Soo (Kim Sang-Kyung) lost his younger sister at the hands of serial killer Kang-Cheon (Park Sung-Woong). An ordinary man named Seung-Hyun (Kim Sung-Kyun) also lost his wife Soo-Kyung (Yoon Seung-Ah) at the hands of serial killer Kang-Cheon. They both try to take revenge upon Kang-Cheon.